Download Free Cool Desktop Workstation Mockup. 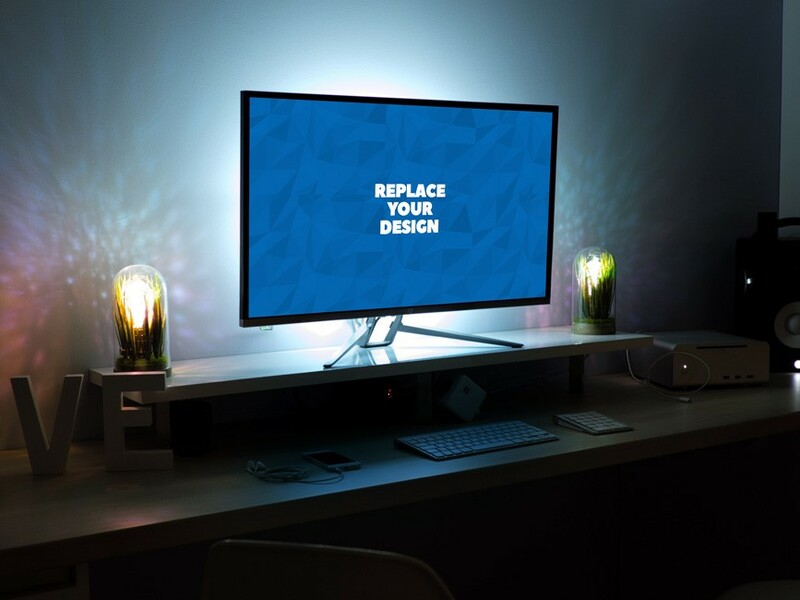 Showcase your creative design work, logo presentation, ui design etc to your clients on a Monitor Screen. Use the smart object to replace the artwork or Monitor screens in photoshop very easily. Nice work done by PSD.Graphics.